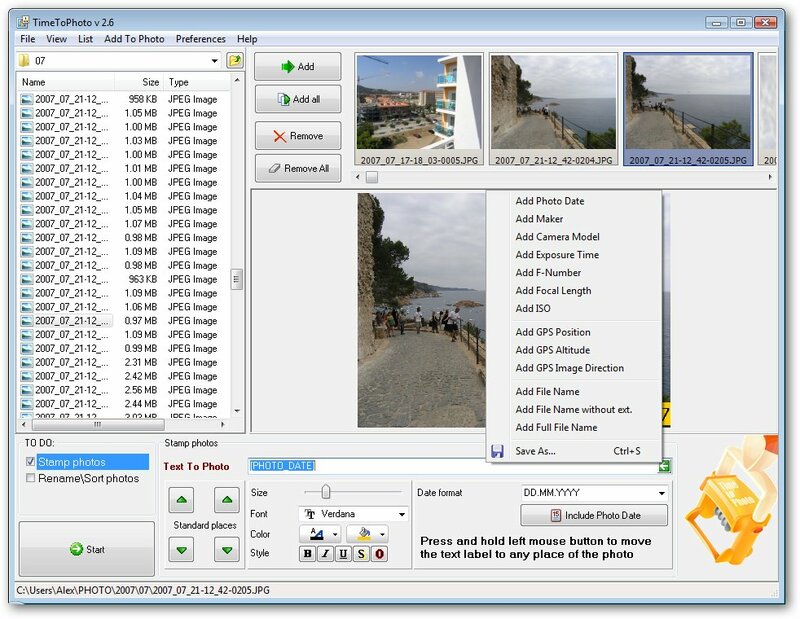 TimeToPhoto 2.6 has been released. Some new EXIF tags can be added to photos now: Camera maker, Camera model, GPS direction, Exposure time, F-Number, ISO. We have also added a new feature for saving last used folders for photo browsing and stamped photos saving. 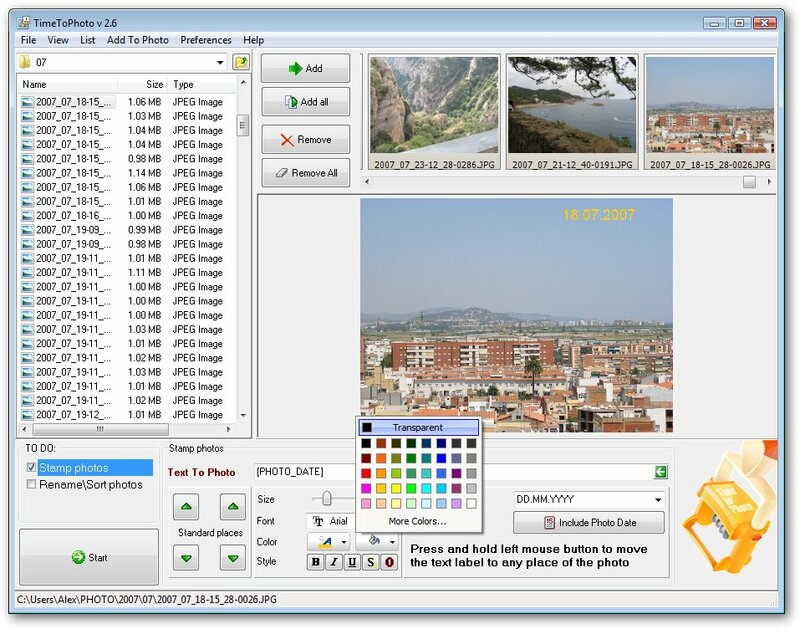 Also now photo label can be imprinted with any background color.